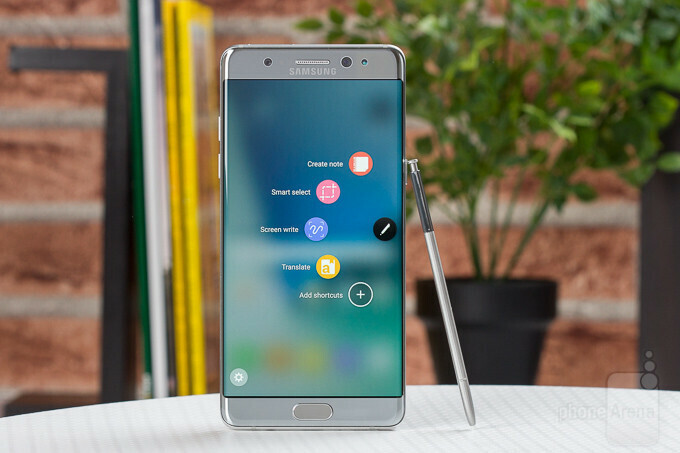 The Galaxy Note 7 saga seems to never end. Samsung is already in the course of replacing all the faulty units and has already issued a couple of software updates that advises those who have yet to exchange their phones to do so as soon as possible. One other software update turns the battery indicator from white to green, but only on those new, safe Galaxy Note 7 devices. 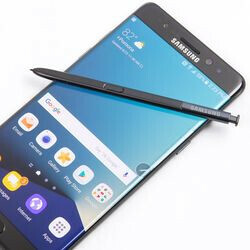 Unfortunately, as much as Samsung wants to get over with the Galaxy Note 7 recall process, it looks like the procedure hit a wall in South Korea where a governmental agency is asking the company to extend the refund period. On top of that, customers in South Korea complain that the new Galaxy Note 7 units they have received in exchange for the faulty devices still have issues with their battery. 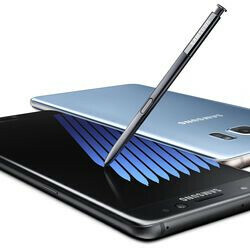 Apparently, there are many complaints that the battery replacements inside the new, supposedly safe Galaxy Note 7 phones are overheating and quickly lose energy. 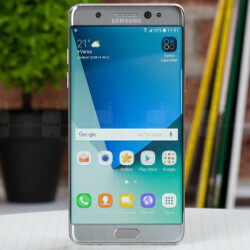 Samsung started to exchange the faulty Galaxy Note 7 devices in South Korea on September 19 and by the end of the week it already acknowledged that some customers have issues with the new phones as well. It's unclear what's causing these battery problems or whether or not they are real. Samsung has yet to confirm if there are complaints registered in other countries, as for the time being the issues seem to be limited to South Korea. A Samsung spokesperson stated that the issues many customers complain are “completely unrelated to batteries” and that they are just isolated cases that have something to do with the mass production issues. 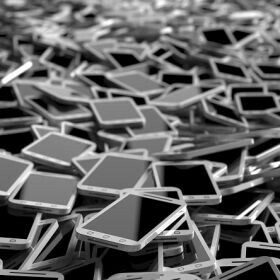 Since Samsung hasn't issued any official statement on the matter, the number of registered cases in South Korea is unknown for the moment. Maybe it has something to do with the fast charging technology? Apparently, new batteries can't handle it. $30 billion loss is nothing compared to the negative image they got with this battery issues. Lots of people will think about twice before buying a samsung phone in the future. I remember Dell has a similar issues with their laptop. After the incident people in my country refused to buy Dell laptop for atleast two or three years. Dell's brand image and product quality is no where near Samsung. 90% of Samsung consumers wil keep buying Samsung's phones. Don't kid yourself. "90% of samsung consumers will keep buying samsung phone "hahahahaha kid keep saying to yourself. Did u miss the alan article where the surveys says people are now afraid of nuke 7. Won't stop me. Samsung will be my first choice always. So clearly you read the same article which stated that 90% of the "Nuke 7" owners liked their device enough to exchange them instead of jumping ship? Those are facts. I will take the facts over the equilavalent of essentially a high school newspaper poll. For Christ's sake, dude, use that logical hemisphere of your brain. It's there. Your cute dubbing of the "Nuke 7" alone shows your emotional entanglement on said issue. Therefore, your opinion on the matter is about as relevant to me as a deaf audiophile's review of the V10. Argue with facts, not with your rabid mouth froth. This issue is so tired, homie. Not enough time has passed to adequately assess how much damage this has done to Samsung's mobile division. Until more official numbers are released, chill out. These comment sections feel like an old AOL chat room. A/S/L?? It could had not happened to a better, immature company. Guess who is the wall hugger now. Maybe instead of making fun about the jack, should had worried more about the performance of their device. Apple could had made a big deal about this, but instead they went about their business, and handle it like adults, and true pros. Had it been the other way around, the Andriod and Samsung immature trolls would had been all over it. A f...... replacable battery would do. But since iphone doesnt have it, note doesnt need it, either philosophy. Next... omitting 3.5mm jack and physical home button. Instead of adding a physical multifunctional camera button. Rubbish. Exactly The media was fast to tell about the jeep, it was all over etc the news but I haven't seen a thing on the news about how some of it was not even true. My S 7 heats up pretty badly when fast charging unlike op 3.. Thus I don't use that feature. Can be but no other Android OEM that uses quick charging is experiencing the same issues as Samsung. 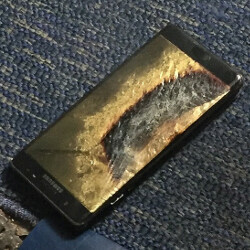 I think that Samsung really screwed up this year with Note 7. I can only hope that they fix the issues with Note 8 because the competition is not sleeping. Mistakes were made, they'll be extra tight with note 8 QC. If they let this happen with the note 8, the brand will not recover. If the note 8 has no issues, it'll start off with slow sales, while word of mouth gets the sales going. Just as I did with the iPhone, I'll be an early adopter of the note 8. How's your replaced unit working dj? Any problems as mentioned in this article? Really smooth, and fast. Charges right up, and stays very cool while charging. I think Samsung should also look into their firmware updates because SOME older models are lately over-heating too with battery drain. I would also place the blame on Google as their Google Play Services or Google Services processes are causing wakelocks which gets any device suffering from it to get quite warm, sometimes to the point of getting above 105 degrees F.
Sorry to say that but what do expect of OS that written with java?!. NO. a lot of new devices with this feature out there and no news ln this same issue.. This is what Samsung got for being greedy and focusing on beating apple instead of focusing on quality control for a safe product for the comsumers. True. Noticed that on my S7 edge switched off since that day I'm using wireless Nokia charger too slow, but no overheat issue. Kind of a bust year for tech. iPhone 7 has to many glitches and the Note 7 issues. I'll wait till next year. Everyone should bring their A game next year. I hope so anyways. Especially with the kind of phone LG V20 is, all of them better buck up. Bro, don't try to roll the iPhone 7/plus in this. That phone has not had any major issues. A few minor software glitches and warranty issues are normal. This battery gate thing is on a whole different level of any gate in the past. This is Samsung issue my friend.